Incredible savings, WHILE SUPPLIES LAST! The discounts will show when you add any clearance product to your cart, or you can use our Printable Sale product list to order. Need relief from ACHING JOINTS? 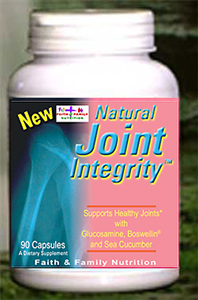 Click here for Natural Joint Integrity. May help prevent sports injuries or enhance healing. 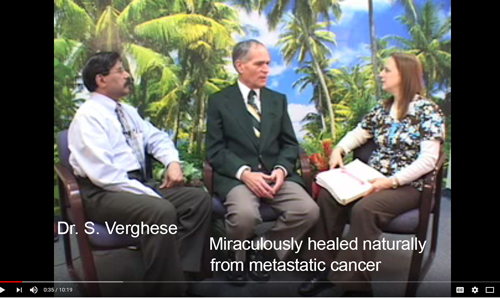 Click for Cancer-Free video of Dr. Verghese's patient. Faith & Family Nutrition products are part of a healing ministry. Our supplements are of the highest purity, potency and quality, and thus produce excellent results.